Processes in PRINCE2 are activities designed to achieve certain objectives. They follow the natural life-cycle of the project as it gets started, authorized, planned, executed and closed. 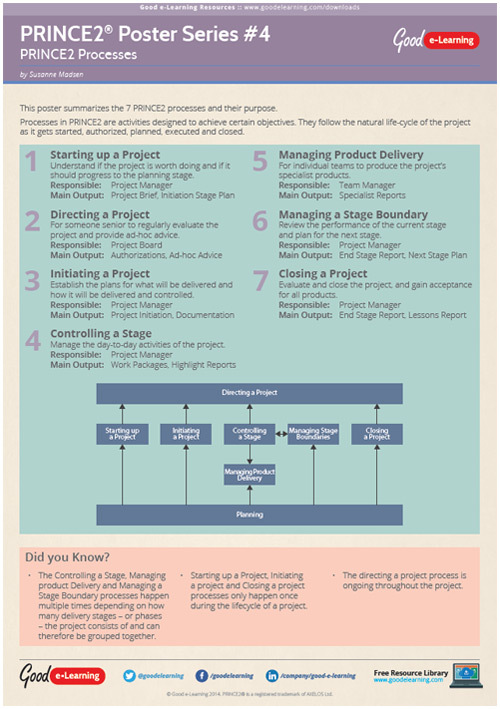 This poster summarize the 7 PRINCE2 processes and their purpose.